On Sunday, I ran my 15th half marathon. I never thought I would run one, let alone 15. 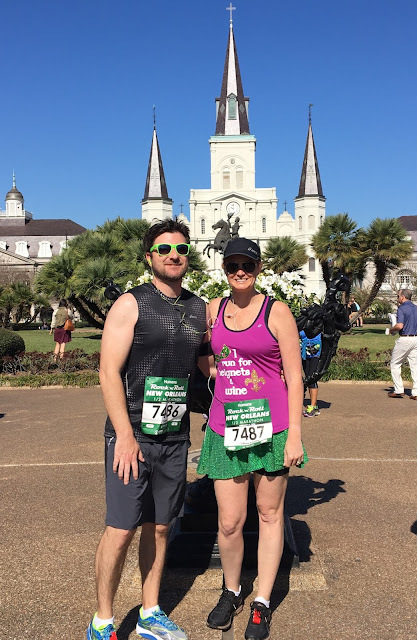 My husband and I completed our third Rock n Roll New Orleans event. New Orleans is our favorite city in the US and we often use this race as an excuse to visit. This year we stayed at an AirBNB located inside the French Quarter. We were a few blocks to the start line and in typical Megan & Gabe fashion, we were running late and rushed to the start line. We arrived only to find out we were early! Mark that one down in the history books. For some reason we thought the race began at 7am but it started at 7:30. ASICS Emma Racerback tank (similar) with a custom design by Distance Designs by Pamela. Let's get transparent for a second. Neither of us were ready for this race. I ran once since my last half marathon in January. My husband hasn't ran since March of last year. Do not be like us. Gabe does work out 3-5 times a week so he's in good physical condition but his cardio wasn't ready non existent. I on the other hand need to start training between races and stop jumping from event to event. I need to recommit to a training regimen that I will actually keep. I have a million excuses but they are just that....excuses. Moving off my soapbox, let's talk about the race! We did go into this race 100% aware that we weren't prepared so we decided to have fun. First off, the weather was PERFECT. Actually the whole weekend was. It wasn't hot. It wasn't cold. It wasn't windy. It wasn't rainy. It was gorgeous. Miles 1-4 flew by. I was very impressed with Gabe because I 100% expected him to want to take more walk breaks than we normally would. Not the case! Before we knew it, we were in the Garden District. Since we've done this race before, we knew what to expect. Around mile 4, a group hands out King Cake. Gabe grabbed a piece and I politely said no thanks. There is also a bathroom inside the park at mile 4 which Gabe used. Meanwhile, I found a Damn Daniel sign. 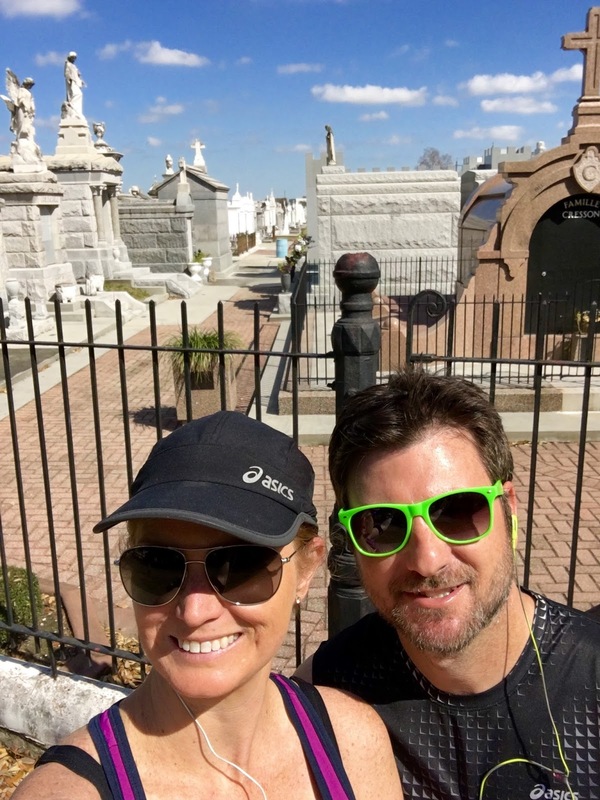 Miles 4-8 are a loop, bringing you back from the Garden District to the French Quarter. There was a bit of a change in the Central Business District route from the years past and I preferred the update in the course. I had to stop for a picture infront of the W.I.N.O. sign (wine institute of New Orleans). Oddly enough, I have never been here in my 11 visits to the city. As we were entering the French Quarter, I found a new BFF and got a mimosa. I only had one sip before realizing this wasn't a smart decision. We passed our condo, saw Gabes Dad and hit up Jackson Square for the obligatory photo. 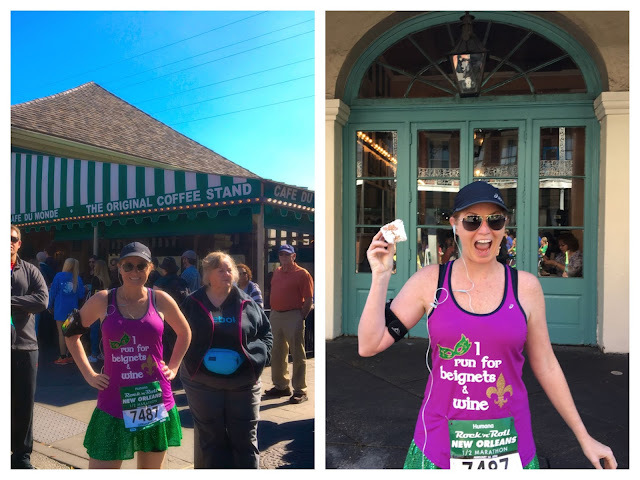 Since my shirt said I run for beignets and wine, I insisted on getting a photo outside of Cafe Du Monde. Then I made a new BFF who handed me a hot beignet. I was so happy and devoured it. 10 min later I realized that was not a good move. We were in the mode of let's just have fun and finish the race. We didn't care about what time we finished in. We didn't have on a Garmin and I turned off Map my Run. We were in the 5k to go mode and were passing the St Louis Cemetery before we knew it. This meant we had less than a mile to go. Entering the park, I found a giraffe passing out Jell-O shots. I can't make this stuff up people! We grabbed our medals, chocolate milk and my new favorite post race snack, Cheeze Its. We headed to the beer garden, stretched and went to find Heather. Heather and I have become good friends over the years. 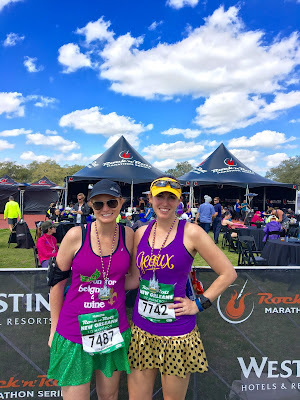 We first met via runDisney and have since ran quite a few races together. 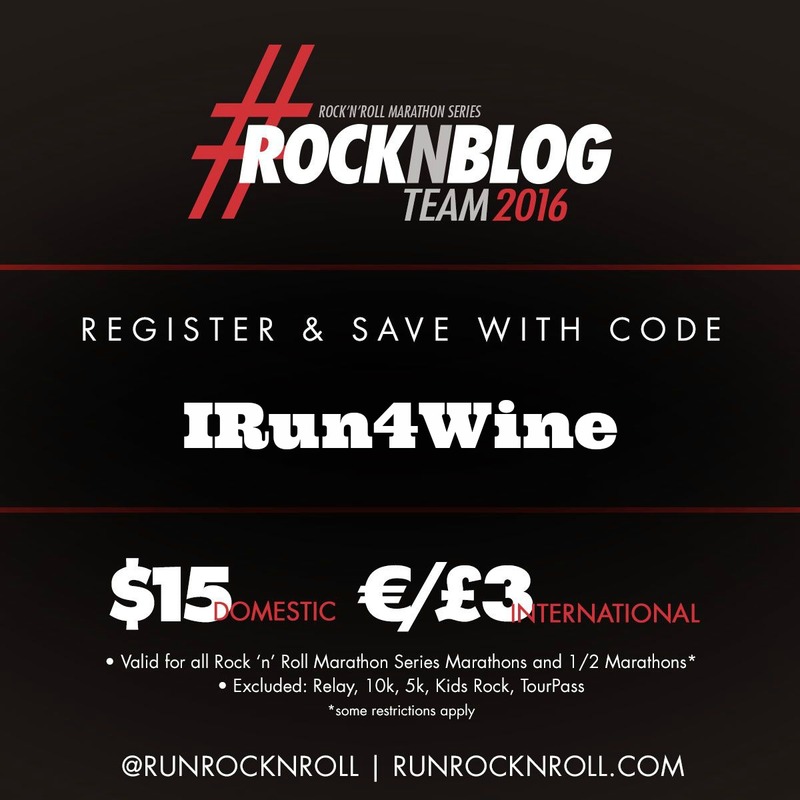 We're both part of the Rock n Roll blogger team along with being ASICS Ambassadors. I'm thankful everyday for the friendships this blog and social media has brought me. After we said a quick hello and goodbye to Heather, we hailed a taxi and headed back to the French Quarter. I had one thing on my mind - a Port of Call cheeseburger. In fact, I thought about this burger since 8am. We found Gabes parents and put our name on the wait list. The hour and a half wait was well worth the delicious burger. Plus I had a giant drink to keep me occupied. Another Rock n Roll NOLA in the books. Next year the event is taking place on February 5th and early registration ends on March 6th. 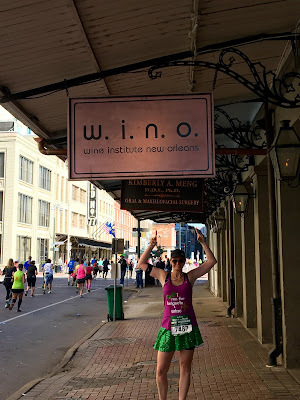 If you want to run Rock n Roll NOLA, which I strongly suggest, now is the time to register. You can sign up for the Marathon $59, Half Marathon $50 or 10K $35. Click here to register today. 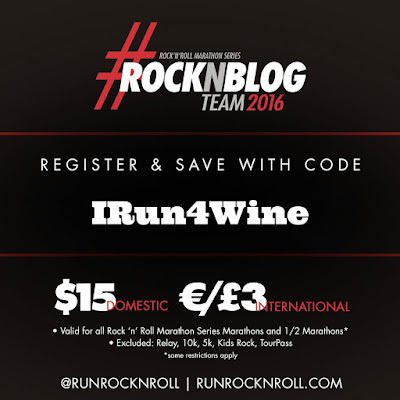 My discount code IRun4Wine is valid for all 2016 Rock n Roll Marathon and Half Marathons (restrictions apply). I'm not sure if it works for early registration but it's worth a try! Gabe and I will return for 2017 but only to run the 10K (I say that now....). Reason being, we love eating and drinking in New Orleans and that isn't always a good thing before running 13.1 or 26.2 miles. Hydrating on Abita Strawberry and carb loading on Muffulata's and red beans & rice probably wasn't our smartest decision. Next up for me is the runDisney Star Wars Darkside Challenge. Two weeks after that will be Rock n Roll Nashville (if we can get a hotel room)! Neither of us have been to Nashville before and are very excited. We committed to actually train for that one. 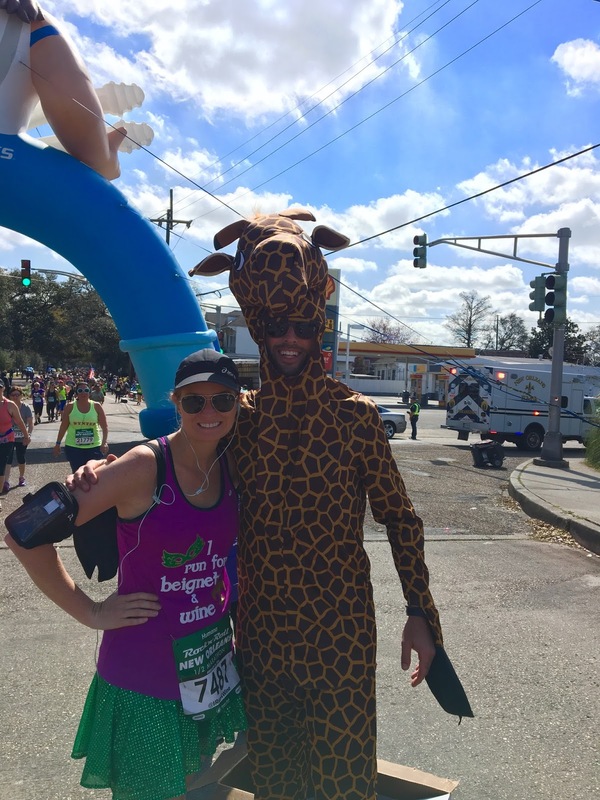 I was already contemplating early registration for 2017 and the giraffe handing out Jello shots just might have convinced me!